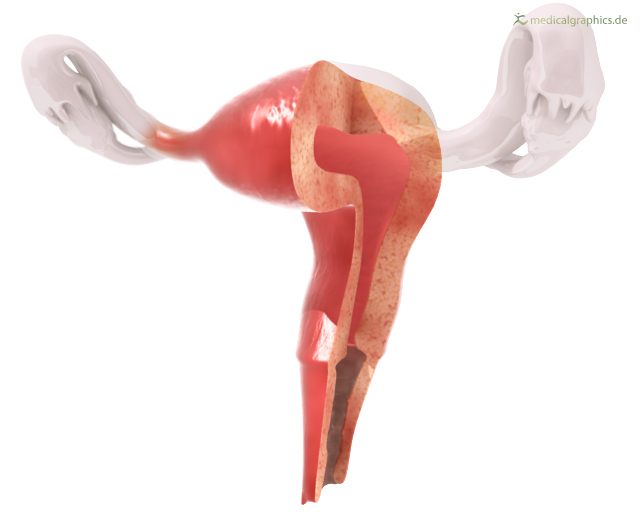 Illustration of an uterus (sagittal section). This allows a view into the inner structures. Ovaries and tubes are shown schematically.